'Something's Going On (And On)' is a version of a track from the 'Aw C'mon / No You C'mon' double CD set. A string rich baritone vocal ramble that's quite lovely, check the gorgeous female backing vocals. The CD single version has two exclusive tracks, 'January 17B' a beautiful instrumental and the moody lovelost vocal 'The Puppy & The Leaf', both from the unreleased Lambchop soundtrack to the classic 1927 F.W. Murnau silent film 'Sunrise'. 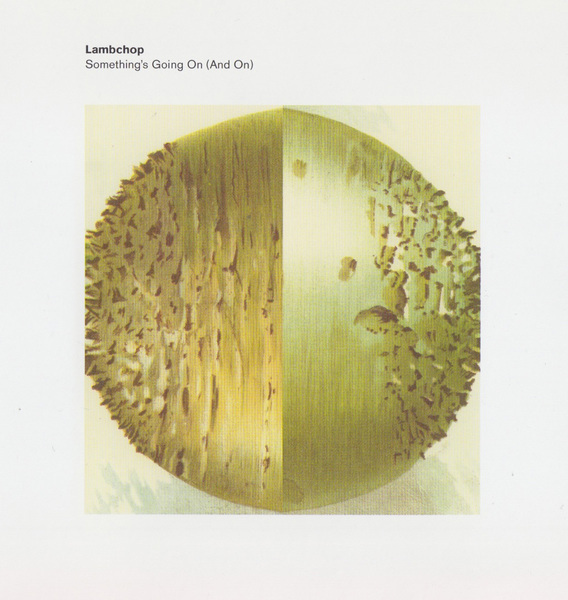 Lambchop continue to amaze even now when the hype has fully worn off.